The Magnet Dots by Vitra are colourful magnetic dots, which were designed by Hella Jongerius for the most diverse tasks and provide for small colour accents in the living area. 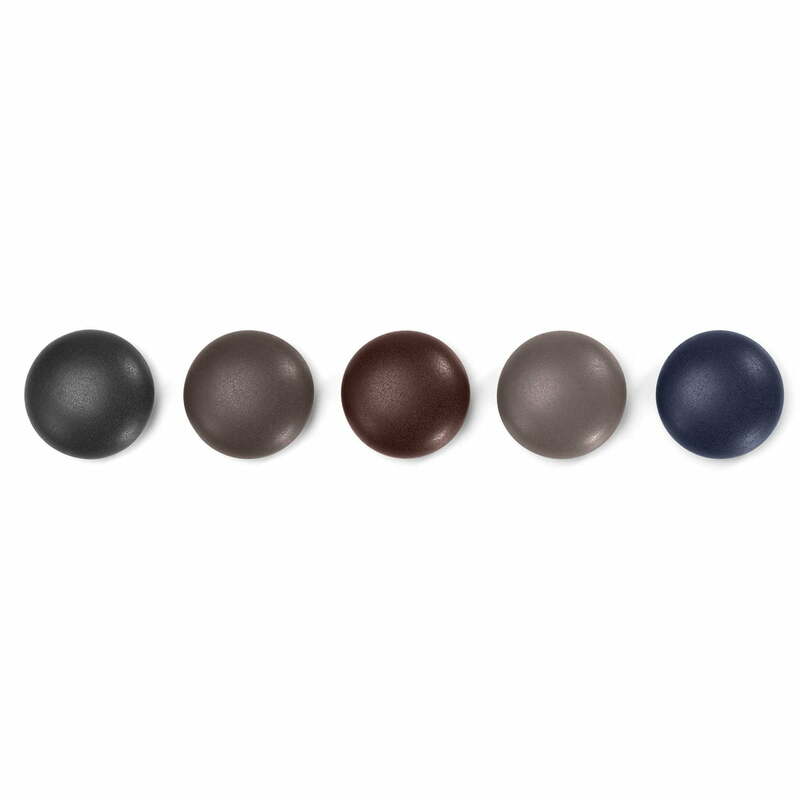 The magnetic of dots look like pebbles: the strong magnets with their organically shaped, robust plastic cases are available in four different colour sets with each five magnetic dots. Each magnet is able to hold up to four DIN A4 sheets. This way, papers, postcards, photos and other souvenirs can be attached to the magnetic board in the Office or on the refrigerator in the kitchen. 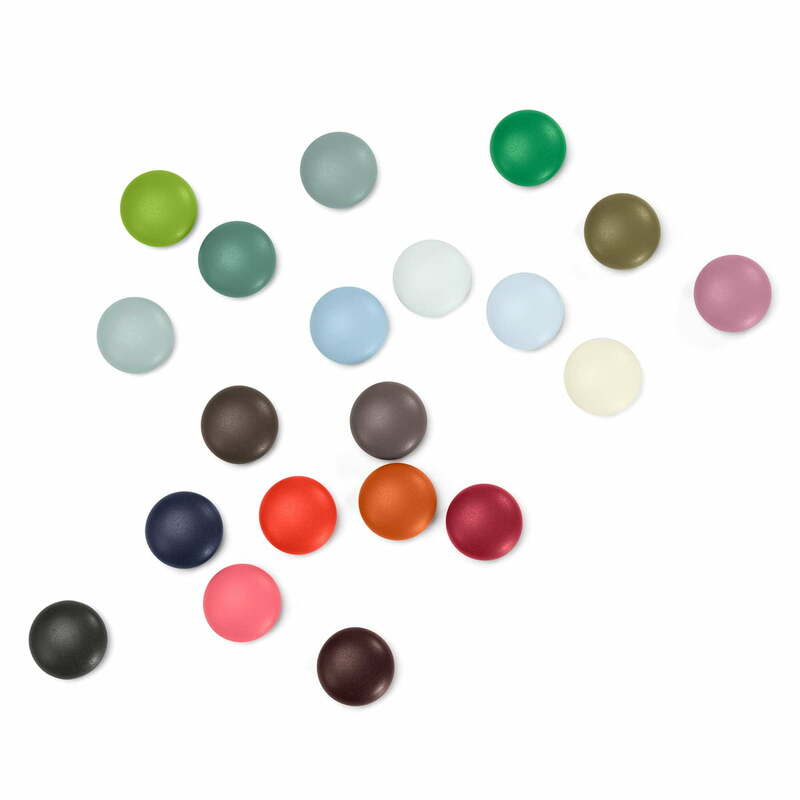 Product image of the 5 sets magnetic Dots by Vitra in various dark colour shades. 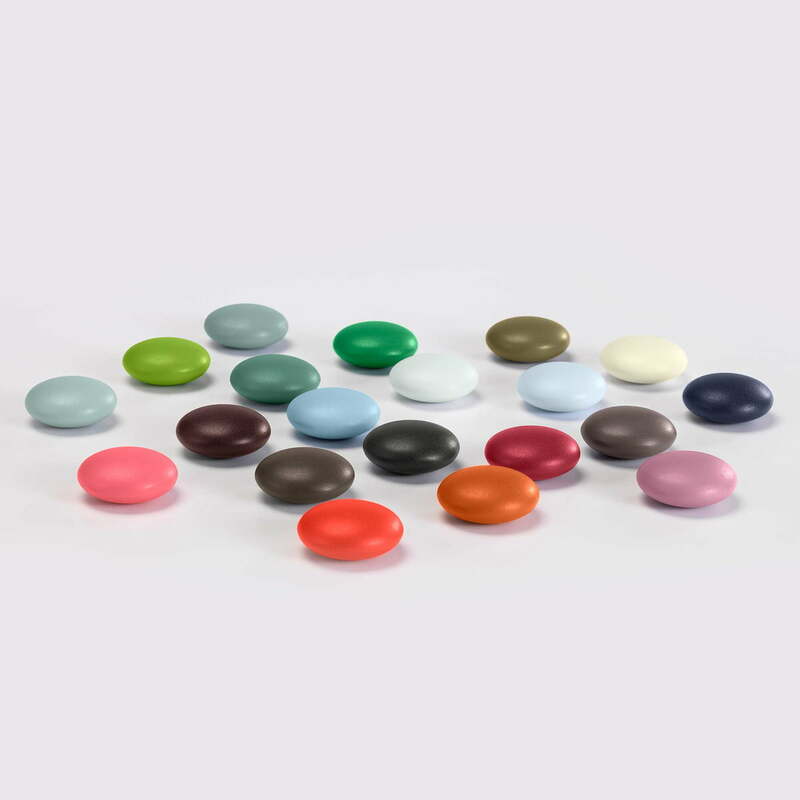 The Dots magnets consist of powerful magnets with organically shaped, robust plastic cases. The magnetic of dots look like pebbles: the strong magnets with their organically shaped, robust plastic cases are available in four different colour sets with each five magnetic dots.